Apple introduced support for third-party keyboards on iPhone and iPad since iOS 8. Since then many popular keyboards were ported to the iOS platform. Third-party keyboards are keyboards that generally offers features that are not offered by the stock iOS keyboard by Apple. For example some supports slide to type, animated GIF images, and more. Google recently foraged into the niche and launched their own keyboard, Gboard for iOS. 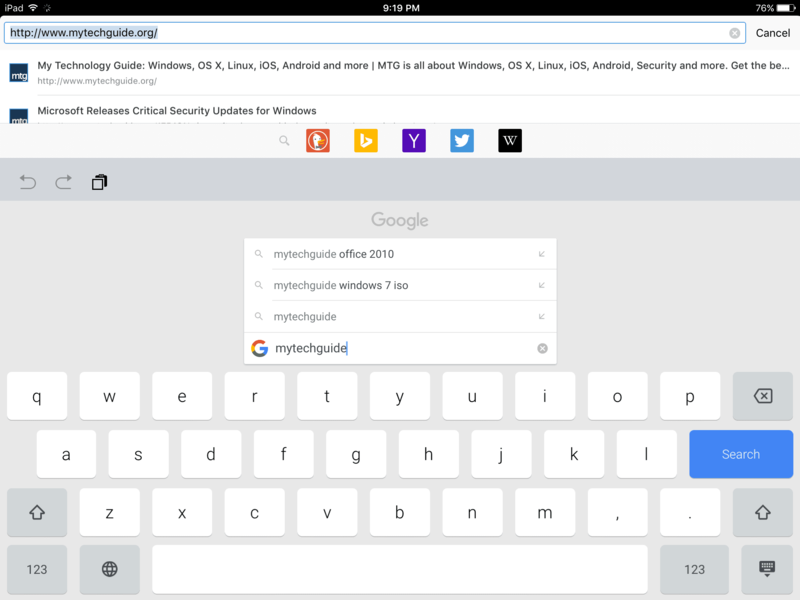 Gboard is a free third-party keyboard for iOS platform that supports features like searching Google from within the keyboard, search for images and animated GIF images. You can download Gboard from the App Store on your iPhone or iPad. Upon downloading, the first time you launch Gboard, it walks you through the features it offers. To take the full advantage of all the features you need to give Gboard “Full access”. Start the Settings app, next tap on under General, tap on Keyboard. Tap on Keyboards and next on Gboard and grant it full access by toggling the switch “Allow Full Access”. Now to use Gboard, open any app that has a text field like Messages, Safari, Facebook, Telegram, etc. On the stock keyboard, tap and hold the globe icon for a few seconds. Select Gboard to switch to it. You can now use Gboard keyboard on all your apps. Gboard keyboard looks like the stock iOS keyboard by Apple. The only difference you will notice is the prominent Google’s “G” logo on the top-left corner of the keyboard. Tap the “G” and it will launch Google search mode. Here, you can type anything to search for it using Google from Gboard without opening a browser. You will notice the search results are displayed in three tabs. 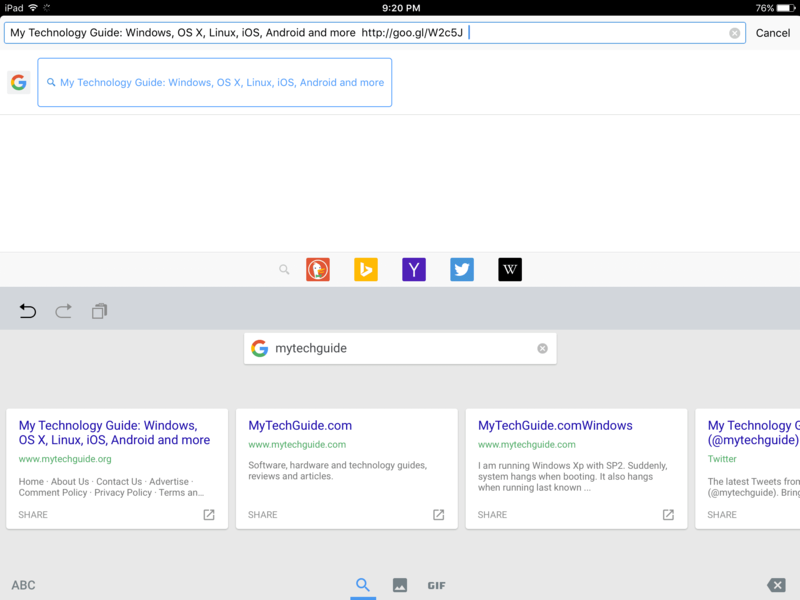 The first tab displays web results from Google. The second tab displays image search results from Google Images. 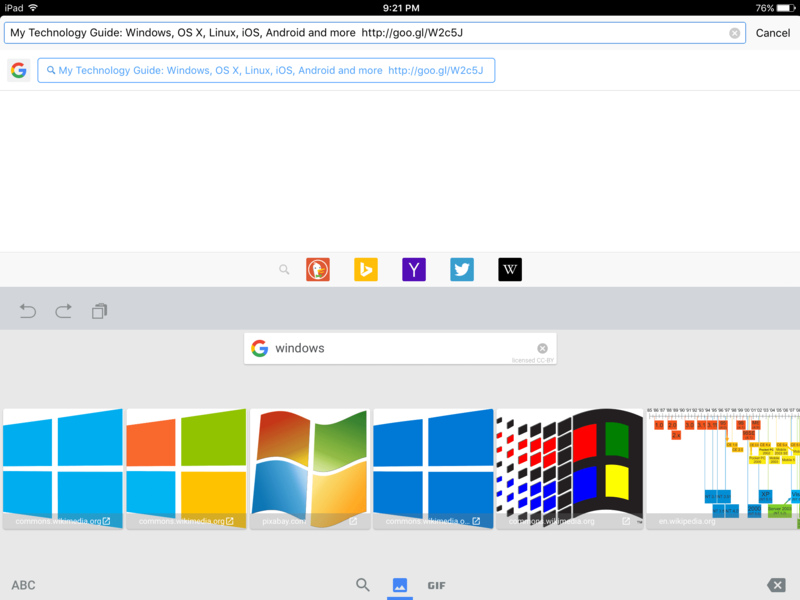 The third tab displays animated GIF images based on your search term. In the first tab, when you tap on any search result, Gboard copies the title and a short-link to the URL of the result to the clipboard. You can then use the copied content to share with your friends. If you want to visit the link, you need to tap on the arrow link in the bottom right corner of the search result. It will launch Safari and display the website for you. 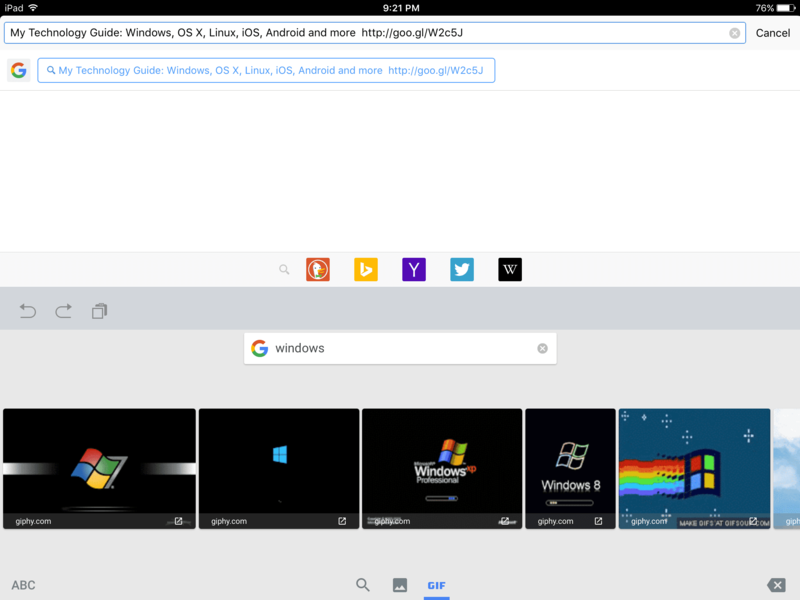 Similarly, if you tap on an image in the next tab or a GIF image in the last tab, it gets copied to the clipboard. You can paste the content where you want it. Gboard remember the last three search terms for your convenience. The swipe-to-type feature is good and lets you type faster. Overall, Gboard is a good replacement for the stock iOS keyboard by Apple. If you are looking for a fresh keyboard for your iPhone or iPad, you should try Gboard.